This view of Cam Ranh is from the East. 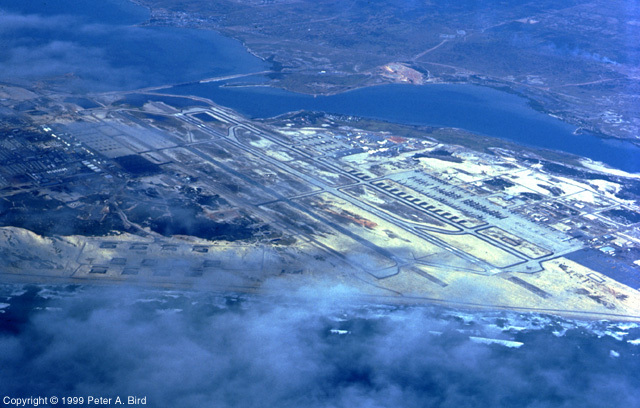 The two runways, aligned 02-20, are visible in the center of the picture. West runway was 10,000 feet of concrete, while the East runway was 10,000 feet of aluminum planking. The C-7A squadrons were based on the East side with the aircraft parking area to the lower left of the runways. The beach shown in the next picture is the one which can be seen under the clouds at the bottom.